Third graders have been learning about energy in science: what energy is, the different types, and examples of each type. We have also been using the scientific process to experiment with various types of energy. 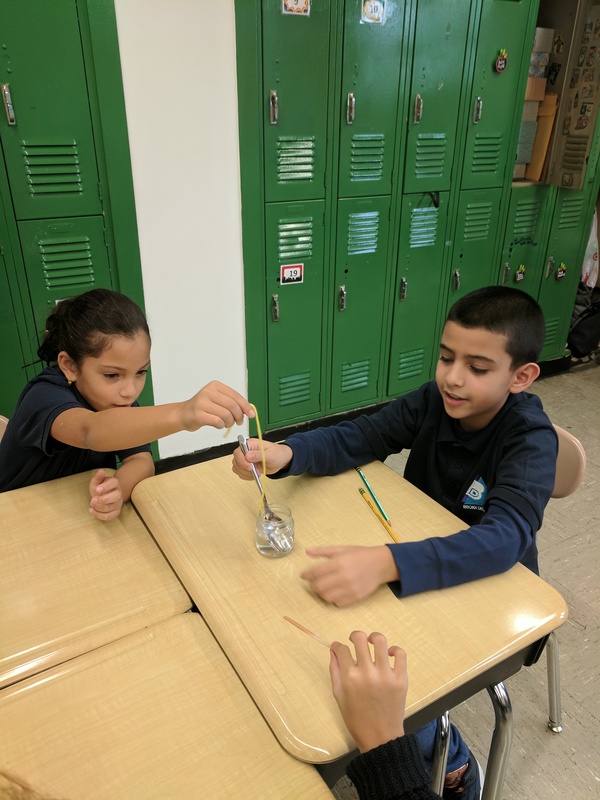 So far we have experimented with heat energy (which materials absorb the most heat energy), sound energy (what materials create the highest and lowest pitches when shaken), and chemical energy (how can we change liquid into a solid). Here we are exploring energy during these experiments! Previous Entry:Class 1-204B Can Teach You How to Make Slime!